BOM Fitness and Wellness Coaching is a 24/ 7 facility that offers full service fitness equipment, personal training, wellness coaching, and group fitness classes. Members have full-time access to equipment and can participate in many group classes free of extra charge. In 2015, Jolynne Carlson held a grand re-opening for a gym that had existed for around 20 years. 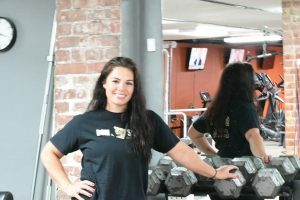 When she purchased the gym, she assessed what already existed and the potential for improvement and growth. The grand re-opening highlighted the upgrade of equipment and opportunities. When asked what she likes best about being a small business in Madrid, Jolynne explained the unique opportunities available in a small community. She expressed that she enjoys being able to be personally acquainted with her members, and how she loves witnessing each individual’s dedication and improvement.